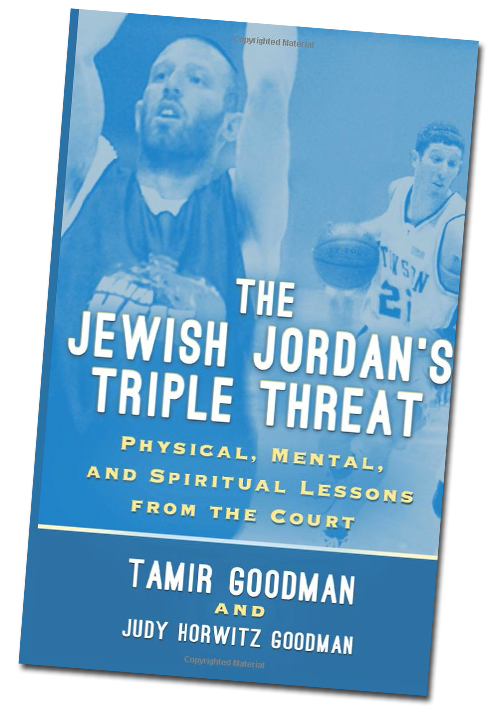 Tamir Goodman’s book, Triple Threat offers physical, mental, and spiritual lessons, both on and off the basketball court. Featuring practical basketball training tips — including strategies to contend with the mental side of the game, and game-like scenarios to demonstrate how this advice will pay off on the court — Tamir’s book takes readers on a fascinating journey through his historic career. Order your copy now!. Perfect Bar/Bat Mitzvah Mitzvah gift.